I hated whiskey until I tried Brown Derby, which is a horrible name for a cocktail, by the way. At least the Euros call it a de Rigeur…. which actually sounds just as lame, but it sure is tasty!!! My first encounter with the Brown Derby was at Oven and Shaker in Downtown Portland…they have awesome wood-fired pizzas and even better cocktails. Yep, here it is…the Brown Derby Cocktail. 1. 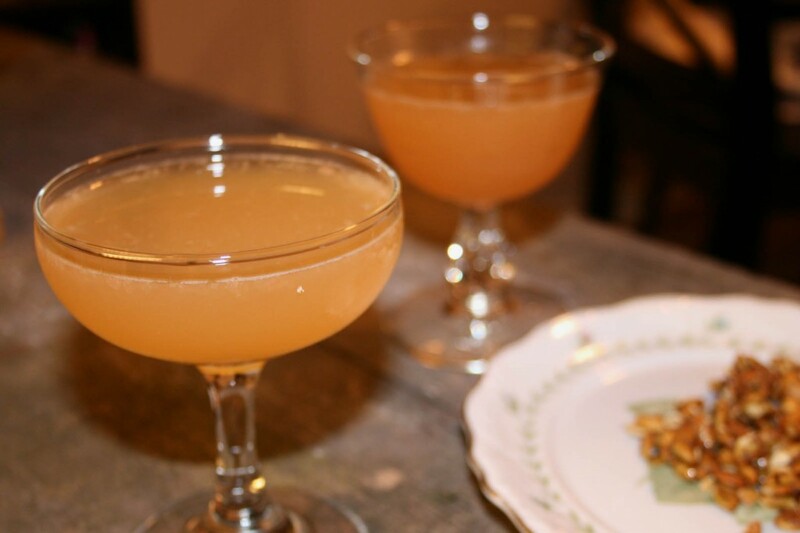 In a cocktail shaker combine whiskey, grapefruit juice, and honey simple syrup. Give a quick shake and strain into a crystal champagne coupe . 2. Garnish with a grapefruit twist or peel.